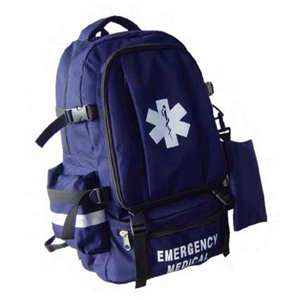 The Premium Medical Backpack is the top of the line solution for medical practitioners or emergency response personal who need to carry equipment and consumables. This bag is designed to be stylish and professional yet ergonomic for minimal impact on the user. It has ample room to neatly carry your medical equipment and incorporates a large main compartment, along with specifically designed pockets throughout. Manufactured with long lasting heavy duty water retardant fabric. Suitable for all environments and for a range of uses. Manufactured with heavy duty water retardant fabric. It has ample room to neatly carry your medical equipment with removable moveable dividers inside to help you organize your supplies. The two large zipper end pockets have reflective high-vis stripes. External straps wrap completely around bag for additional strength and durability. Side zipper pocket is 15 inches long with 3 inner pockets and 6 elastic instrument holders. Comes complete with padded shoulder strap. The smaller version of the large padded trauma bag has one moveable divider inside to help you organize your supplies. The two large zipper end pockets have reflective high-vis stripes. The front pocket has elastic loops and pockets for safely holding your instruments. Manufactured with heavy duty water retardant fabric. External straps wrap completely around bag for additional strength and durability. Comes complete with padded shoulder strap. 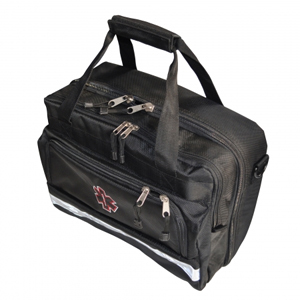 Heavy Duty Field Trauma Bag has moveable dividers inside to help you organize your supplies. 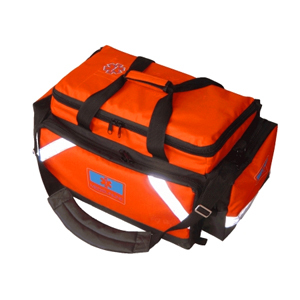 Manufactured with heavy duty water retardant bright orange fabric. The two large zipper end pockets have reflective high-vis stripes. The front pocket has elastic loops and pockets for safely holding your instruments. Manufactured with heavy duty water retardant fabric. External straps wrap completely around bag for additional strength and durability. Comes complete with padded shoulder strap. 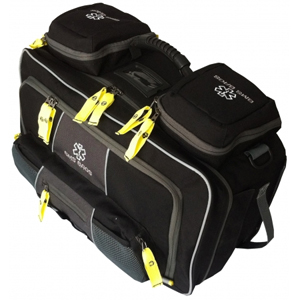 The spacious, main compartment of the Medbrief Trauma Bag can be completely customized with four adjustable rigid dividers. The full-access lid reveals a large zipper pocket, and clear vinyl pockets to keep supplies and instruments tidy and accessible. A 5cm deep, zipper compartment on the front offers additional storage for dressings, paperwork, or even a lap top computer. Front organizer keeps often-used items within easy reach. Crafted with rugged water-resistant Nylon with thick foam padding. Heavy-duty carrying straps have comfortable leather grips and also includes padded shoulder strap. 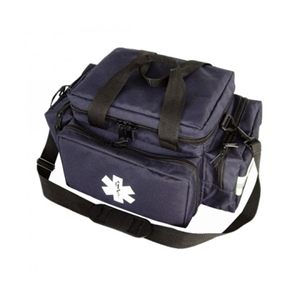 Our medical bags are perfect for Athletic Trainers, EMT's, Emergency Medical Responders, Paramedics, Physicians or Veterinarians. 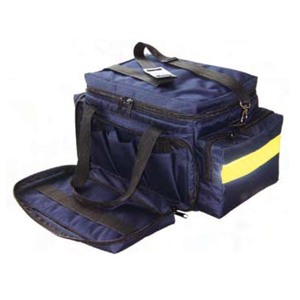 Top-of-the-line trauma deployment bag is an easy choice for any Emergency response unit. The largest available trauma bag designed by medical professionals for durability, quick access, and ease of use and cleaning. Doubles as backpack or conventional hand carry bag. Comes complete with moveable dividers in the main compartment to help you organize your medical instruments and supplies. Manufactured with durable heavy duty water retardant fabric.